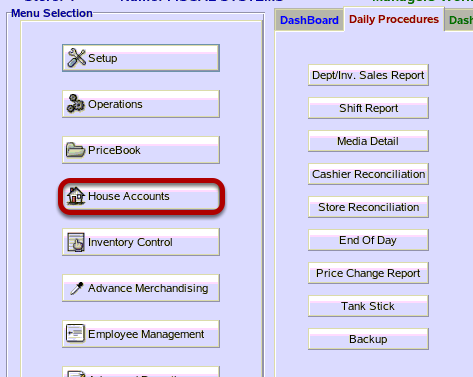 TravStar1 Point Of Sale SystemManager's Work Station House Account ManagementHow Do I Make a Payment on a House Account for a Specific Amount? This lesson will teach you how to make a payment on a house account for a specific dollar amount. In this lesson we are selecting charges to pay until you reach a total payment. This is the best method of payment if you have a check or specific dollar amount you want to apply to the customer's account. 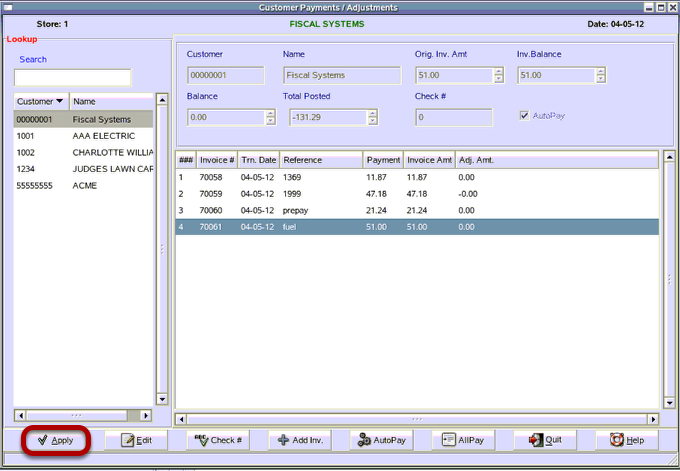 (1) From the Customer Statements / Adjustments screen, click on the customer that is making a payment. (2) Click on the "AutoPay" button. The first invoice on the account should be highlighted. 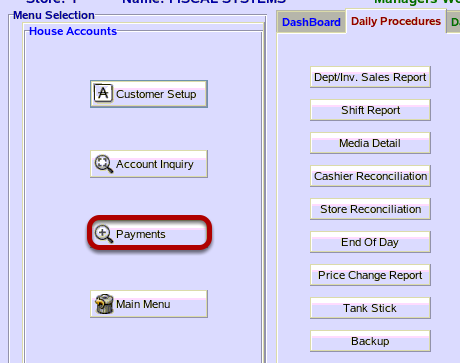 To select this invoice to pay touch the enter key. 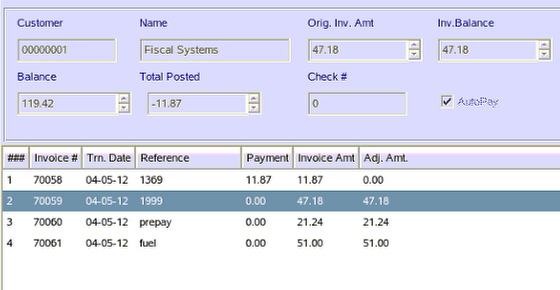 You can move the hightlight to another invoice, but paying the oldest invoices first is normal procedure. (1) From the Enter Check screen, type in the check number of the payment. 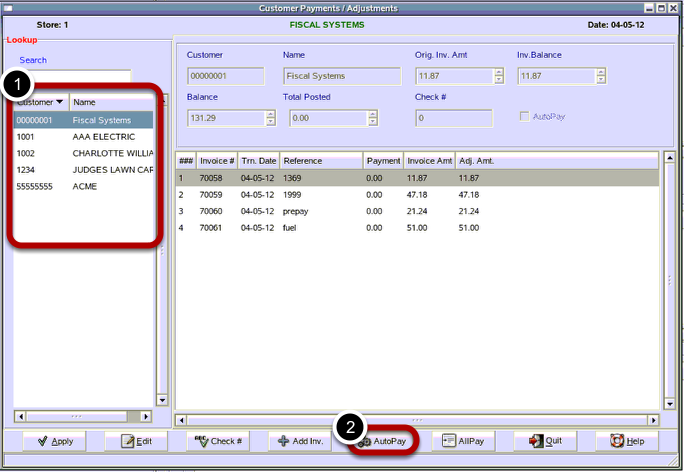 Continue by highlighting the next invoice and touching the enter key. 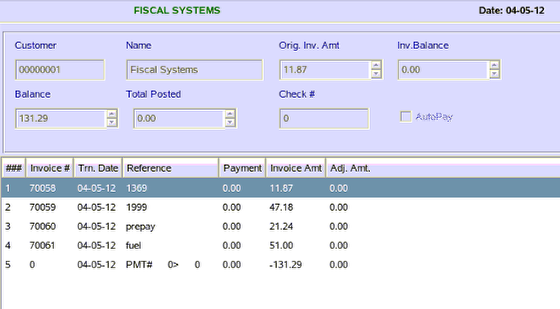 Continue to pay off invoices until the Total Posted shows the amount of the payment being entered. You are given the choice of showing the payment as one entry or showing the payment as multiple entries to the specific invoices paid. If you click on the "Yes" button, then all invoices are paid and the payment is shown as one entry. If you click on the “No” button, the screen will show each invoice listed with the amount and receipt number and zero in the adjust amount field. 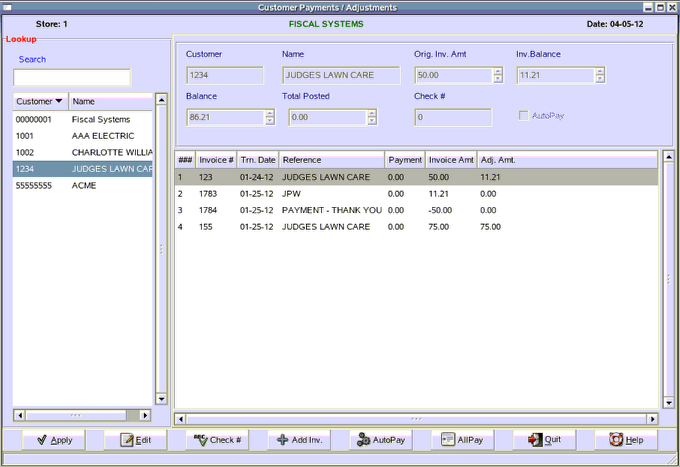 In this example, the payment was recorded as one entry. Prev: How Do I Make a Payment on a House Account to All Charges within a Date Range? Next: How Do I Add an Invoice to a House Account?